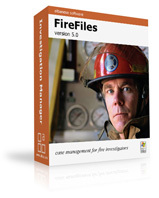 Fire Files™ is a records management system for fire, arson, bomb and police investigations. For over 10 years, hundreds of municipal, county and state agencies have used Fire Files for their investigative case management and reporting. Empower your investigators today!! 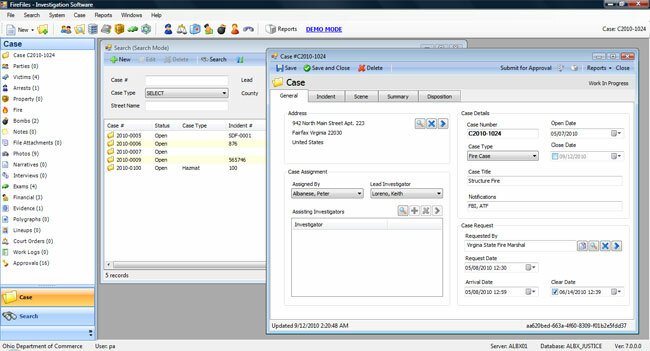 "Fire Files helps us keep track of everything for our cases, from suspects to evidence to narratives to pictures and we can generate reports with one click..."
Fairfax County Virginia chooses Fire Files as their software platform for fire, arson, bomb and hazmat investigations. Get 1 year of free support and software upgrades when you buy 3 or more licenses. That's software and upgrades for 2 years!! Get your FREE licenses today!! Are you Value Added Reseller (VAR) that works with customers in public safety or law enforcement? Increase sales and stand out from the competition with our industry leading software and IT services. Generate high commissions and recurring revenue by partnering with ALBX Solutions today. Are you a college, university or continuing education facility with programs related to criminal justice, public safety, fire sciences, industrial safety, risk management or law enforcement? Our software is FREE for use in computer labs, classroom environments, training and education. Are you an association or non-profit organization whose members may use our investigation software? Deliver more value and membership benefits by partnering with us. This includes software discounts for members and a revenue sharing program for your organization.